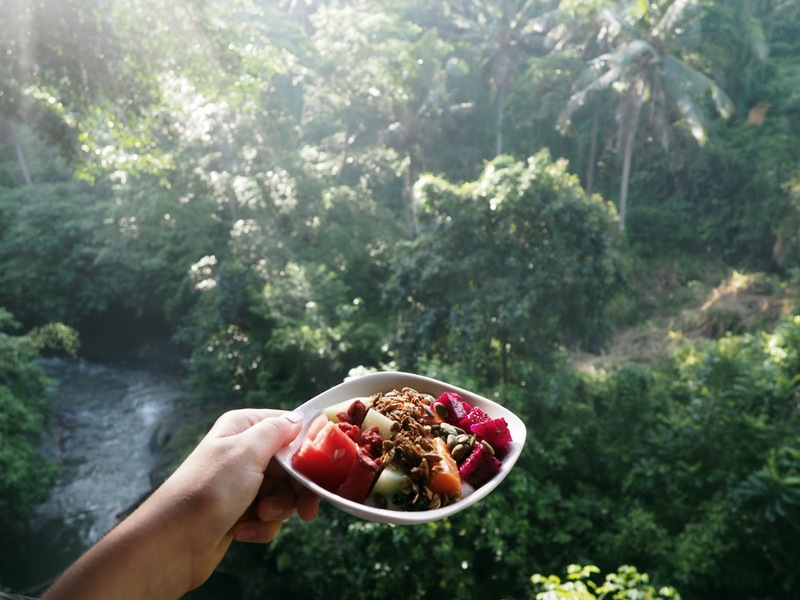 One of many things I loved about Bali were a number of diverse places and things we got to experience during our two-week trip. One day we’d be sat on a beautiful beach sipping cocktails, the next we’d be exploring temples and practising different types on yoga. 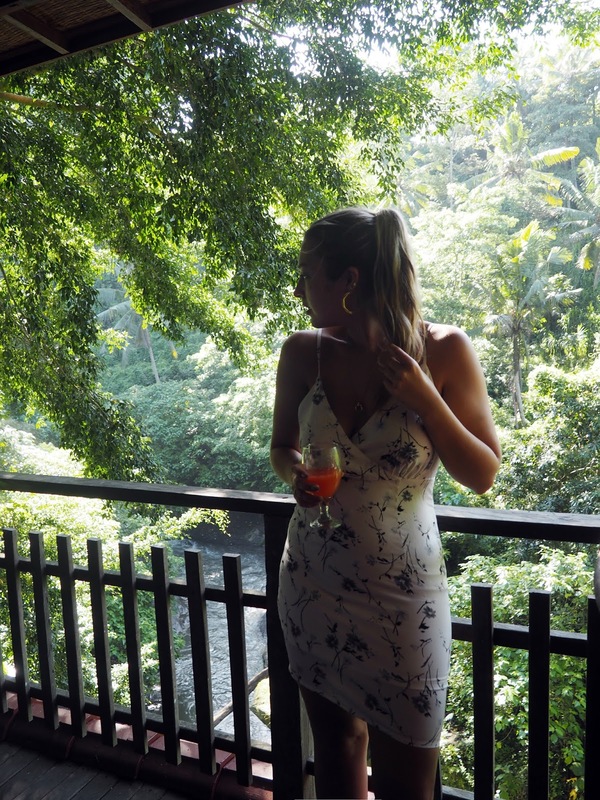 Today’s post is all about my short but wonderful stay at the beautiful Svarga Loka wellness resort during our final stint in Ubud. 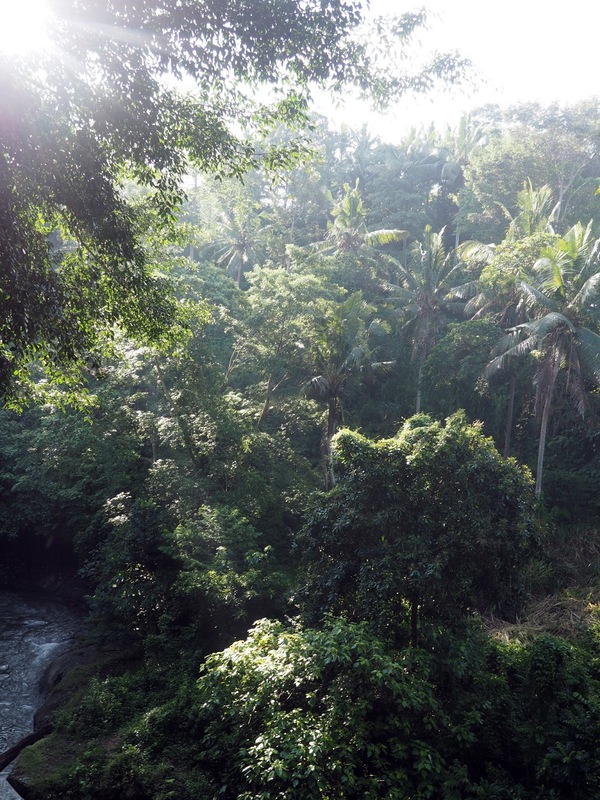 The resort is nestled beside the Campuhan river in the heart of rural Ubud. 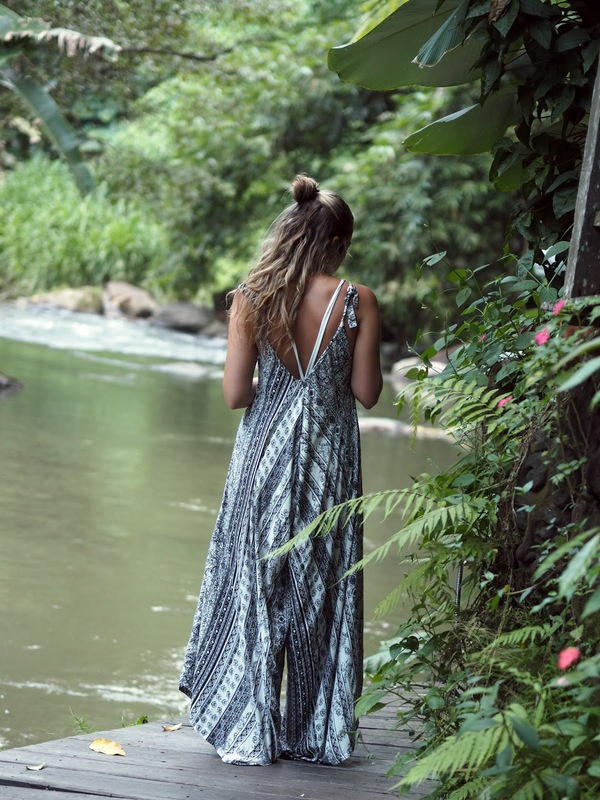 Though you’re only a short walk from the main road and Ubud town, Svarga Loka is a hidden gem in that you feel like you’re totally in the middle of the jungle – surrounded by nothing but peace and the gentle sounds of nature. 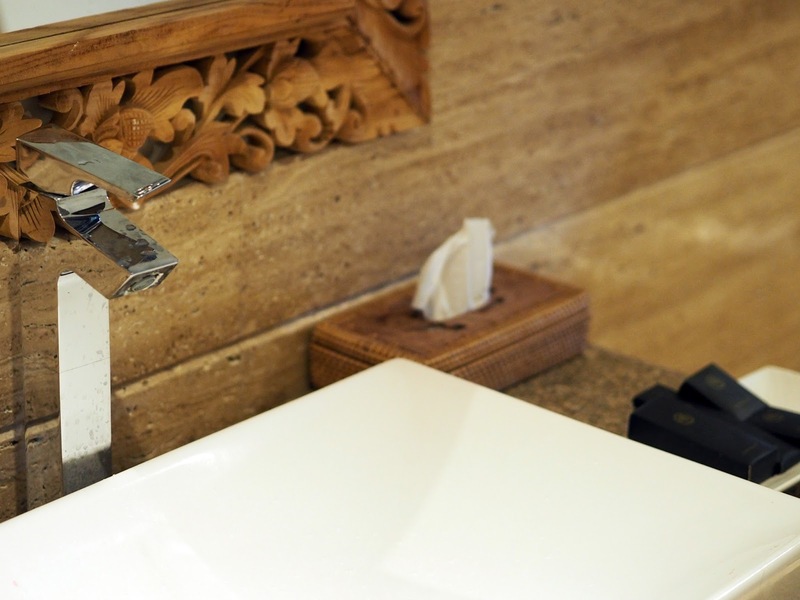 Spanning across several levels on the hillside, the resort houses 45 rooms, two pools, a restaurant dining area leading down to the riverbank in addition to the Ayusha Spa & Welness Centre. So naturally, it makes total sense the name Svarga Loka comes from a Hindu poem meaning a “Heavenly Paradise”. As I mentioned before, we were staying in Bali over their ‘Nyepi’ day and this fell during our time at Svarga Loka. Nyepi means 'day of silence' and the Balinese celebrate it with meditation, fasting and of course total peace and quiet. There is no fire (light), travel, work or entertainment - even the international airport is closed! Visitors to Bali are expected to stay in their hotels and resorts for the whole day – and when you’re staying somewhere as beautiful and peaceful as Svarga Loka, it really wasn't so bad! 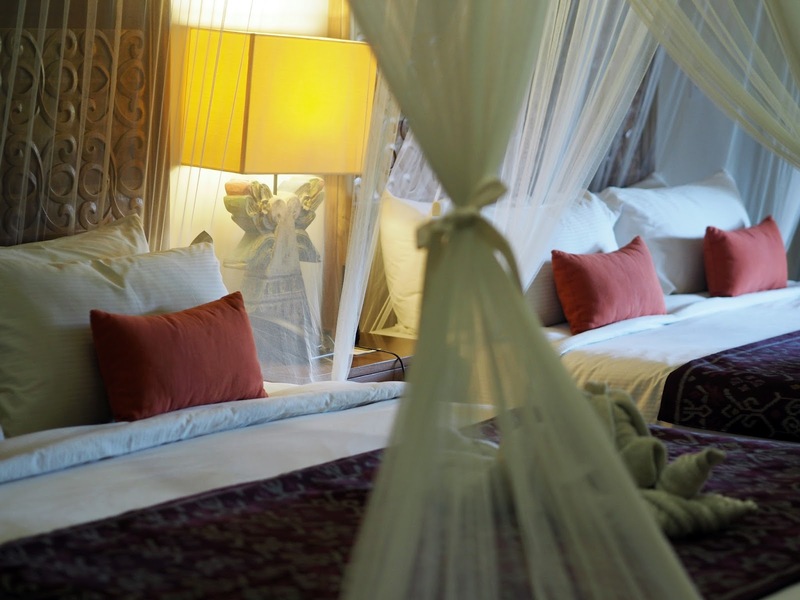 We checked into our beautiful junior suite the afternoon before Nyepi. 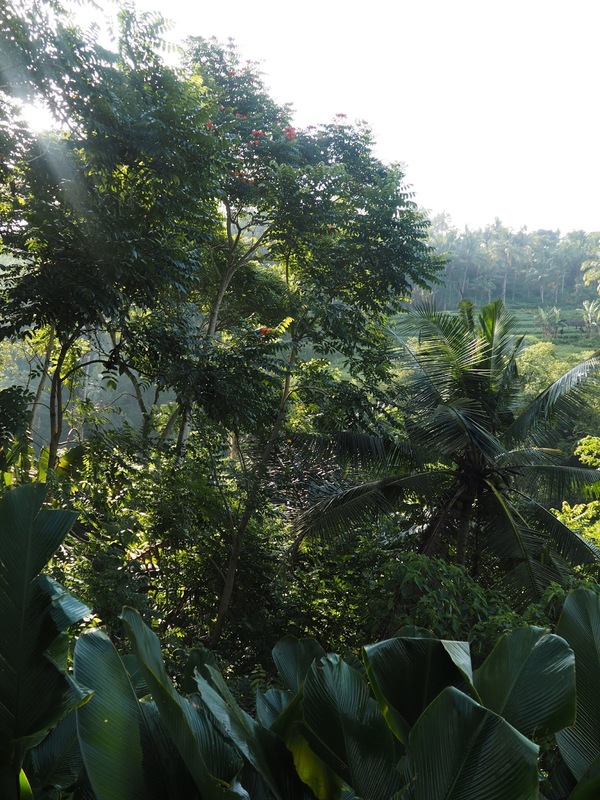 Following a busy day exploring Ubud, it was so lovely to be warmly welcomed to such a relaxing spacious place. 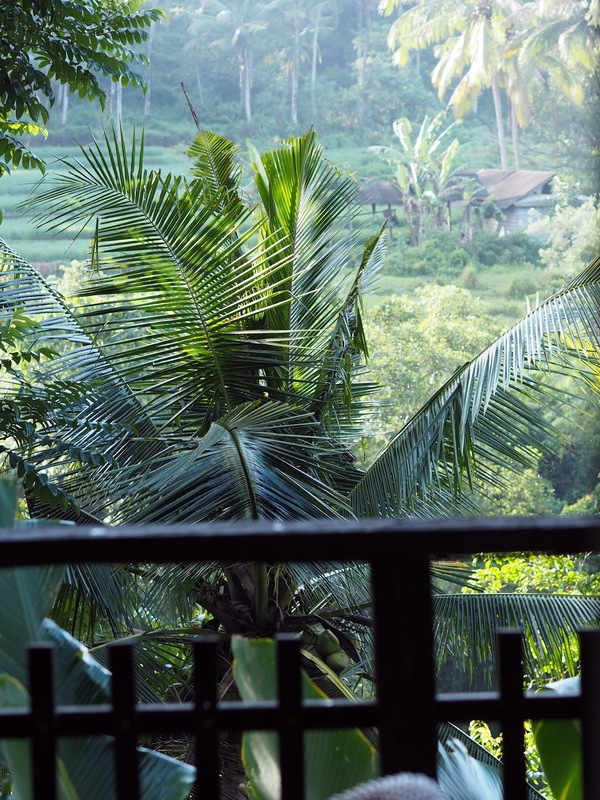 Our room itself had two comfortable double beds and featured some beautiful traditional bits of Balinese furniture and gorgeous open balcony with epic views of the opposite rainforest and distant rice fields. 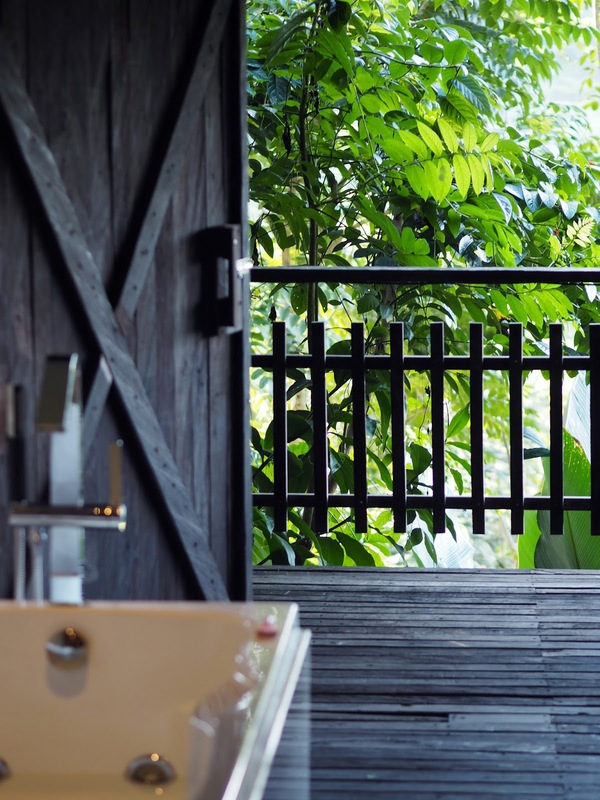 The most impressive part though perhaps was the huge bathroom featuring, twin sinks, a jacuzzi bath, a self opening-cleaning-flushing toilet, monsoon shower all with a gate that opened out onto the balcony to enjoy the surrounding views as you bathe. I don’t think I ever felt so at one with nature as I did here! After freshening up, we made our way down to the lobby area to head into town for the Ogah-Ogah celebrations, traditional the night before Nyepi and a great experience of the local culture. Here we met some of the wonderful team at Svarga Loka as well as a couple more guests and decided to head down together. It was then I met the resort’s resident healer, Richard Curral, whom aside from his gifts was one of the most genuine and warm people we had the pleasure of meeting during the trip. I wish I’d had time during the stay for a full session with him, but very much enjoyed our conversations and quickly became fascinated by his success stories – an appointment with him is a must if you stay with Svarga Loka. You can read more about their transformational programmes here. The following day, the wonderful manager (another Richard!) had also planned a special day full of activities for guests at the resort during Nyepi so we either had the option to fully chill out, or take part in yoga, meditation, workshops. I went for a mix of both – waking up for a challenging 6 am yoga session (complete with chanting – another new type of yoga experience for me!) before devouring a delicious healthy breakfast and spending the day lounging at the pools and exploring the many different parts of the resort, just me and my camera. You can see the daily activity schedule here. Come evening time we enjoyed a healthy social dinner with some fellow guests before heading back for an early night. But before sleep, Al and I walked up to the top pool to indulge in a peaceful view of the stars – we were even spoilt by a few accompanying fireflies (my first time ever seeing them!) which was really special. Exactly what we needed in the middle of our trip – time to relax, reflect and appreciate our surroundings. Huge thanks to Svarag Loka and their wonderful team for hosting us over Nyepi for the perfect relaxing stay during our trip. 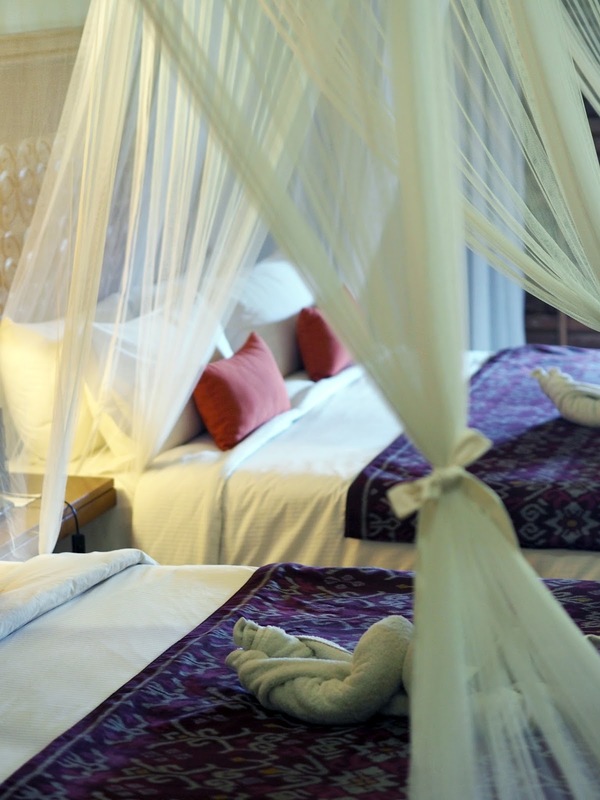 To book your stay, visit their website here or email directly at reservations@svargalokaresort.com. To have a rest like that is a real luxury and I really want to do the same. That is very nice pic of you. Thank you for such an inspiring article. I wish you every success.